Indian gastronomy with a pinch of Zafran! Zafran is ‘saffron’ on an Arabesque tongue. Saffron, the most prized of spices, the sacred color of sadhus, and a shade that takes up a third of the Indian flag, is the inspiration behind this trendy contemporary Indian restaurant. Having passed Zafran in Mirdiff City Centre a number of times during hurried shopping sprees, we’ve been meaning to give this branch a try for a while now. The interior decor looks so trendy and inviting! My little family and I finally made it there last Saturday. Living up to the ‘zafran’ connection, the restaurant has been decorated in beautiful hues of the majestic shade. Patchwork Indian motifs take up a sleek, glass-like backdrop and the seating is chic, black leather. After being seated, we were presented with the menu and a complimentary bowl of papadoms and chutneys. The papad selection included the deep-fried rings we used to enjoy as little children; I remember donning these as rings and guffawing at the hilarity of eating them off my fingers as I watched reruns of Tom & Jerry. Funny how a little snack can conjure up so many fond memories! Next came our refreshingly fresh Strawberry Infused Mango Orange Coolers. This drink has the smooth thickness of mango pulp, and a beautifully subtle hint of citrus. A delicate swirl of fresh strawberry completes this very summery sip. 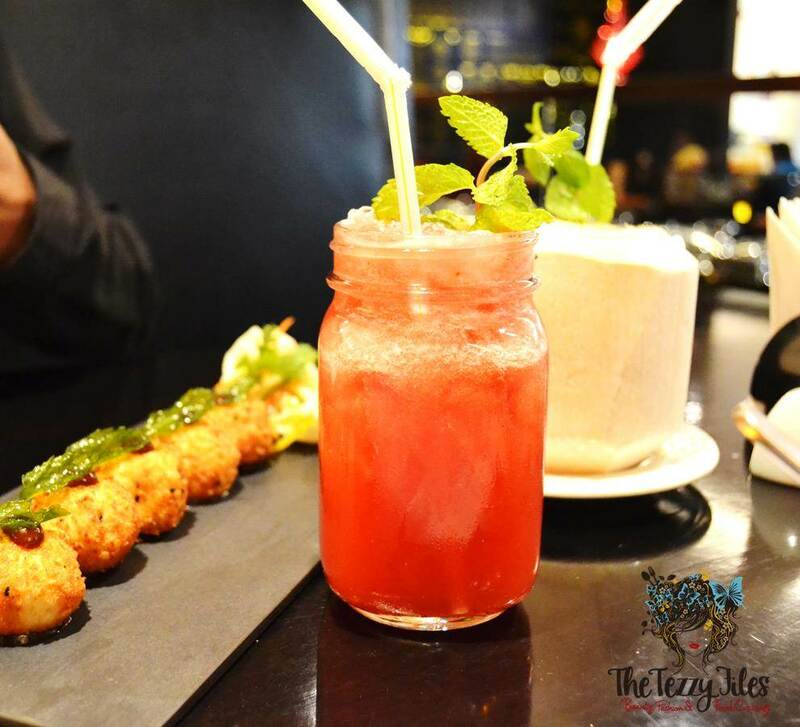 For our appetizers, we had Dahee Kebab and Tandoori King Prawns. 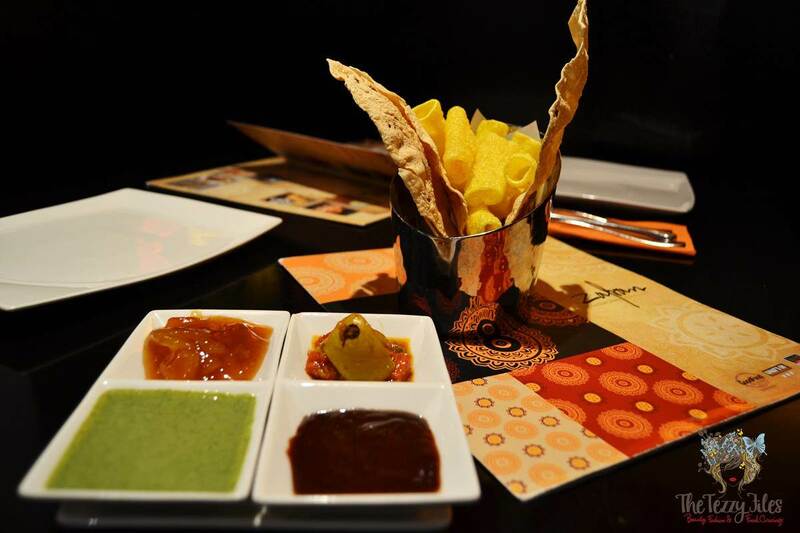 The Dahee Kebab is a signature dish at Zafran. 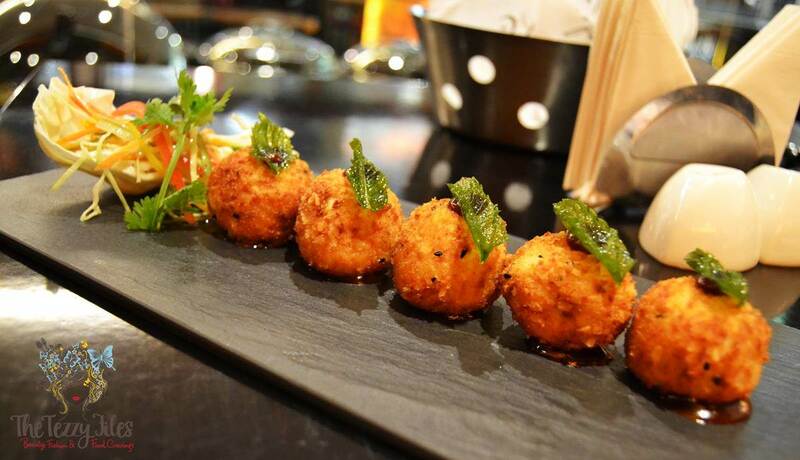 These dumplings of dense, hung yogurt cheese accentuated with finely chopped fresh coriander have been crumbed with a crisp, delicious coating and sit on little puddles of tangy-sweet tamarind sauce. A deep-fried leaf of mint is added as garnish. The Dahee Kebab is an interesting mix of fresh dairy and deep-fried savory, and the subtle hint of coriander along with licks of tamarind elevates the overall taste. A must-try for fresh cheese fans! And how photogenic is Zafran’s platter of Tandoori King Prawns?! The platter came to the table with all the drama of sizzle and hot, aromatic fumes. The show didn’t stop there as each prawn was bursting with exotic Indian flavors, and were charcoaled to perfection. I could taste the hit of ajwain, and the prawns owe their gorgeous deep yellow to sprinkles of fresh turmeric. In the meantime, we checked out Zafran’s Kid’s Menu. My 4 year-old daughter had the Cheese Naan. 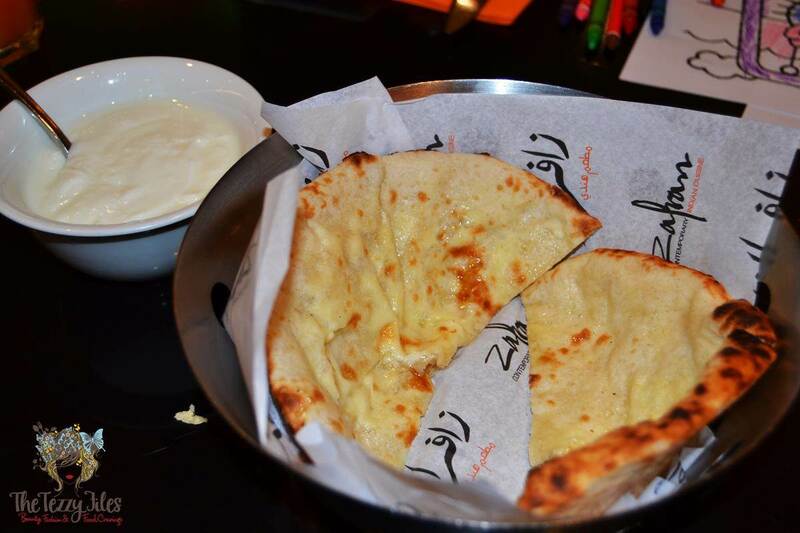 The flatbread was stuffed with warm, oozing cheese, and was accompanied with a bowl of fresh plain yogurt. She was also given a generous handful of crayons and coloring activity sheets to keep her preoccupied. 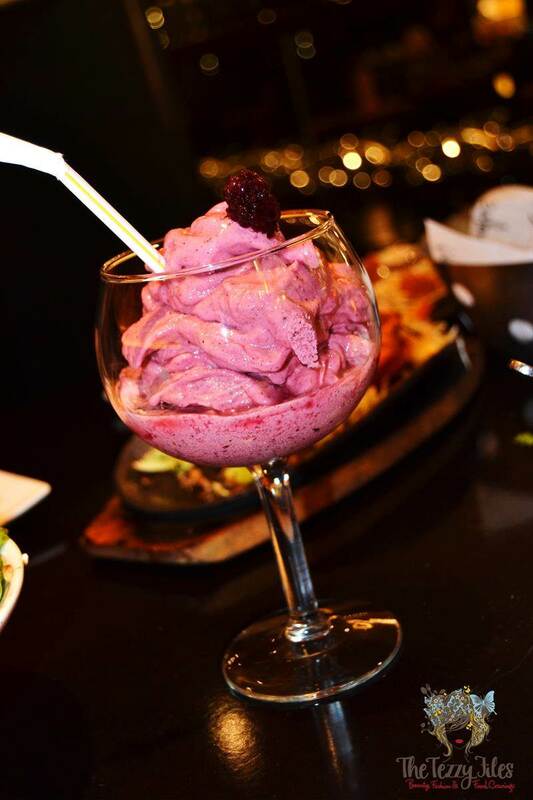 The Kid’s Meal also came with Berrylicious, a mixed berry smoothie that had the taste and consistency of frozen yoghurt. Must admit we adults loved this drink as much as bubby! Hubby decided to order a second drink. This time he went for the Watermelon Mint Smash. The drink is literally what it claims to be; very fresh watermelon smashed with mint. How refreshingly good is that? I tried Zafran’s Adraki Naryal. 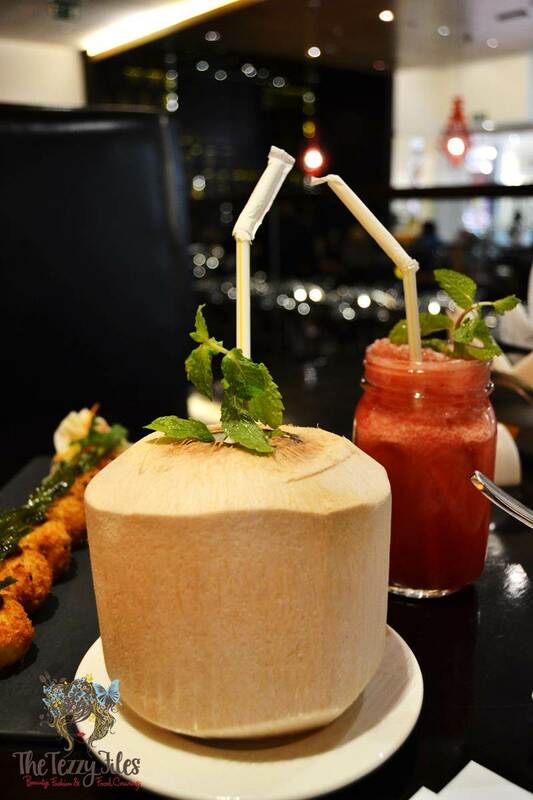 This is a drink of fresh coconut water infused with ginger, and is served directly in the coconut shell. This is a light, summery sip that is a great option for when you are going heavy on the eating! Yet another drink we ordered somewhere in the middle of our meal was Zafran’s Mango Lassi. 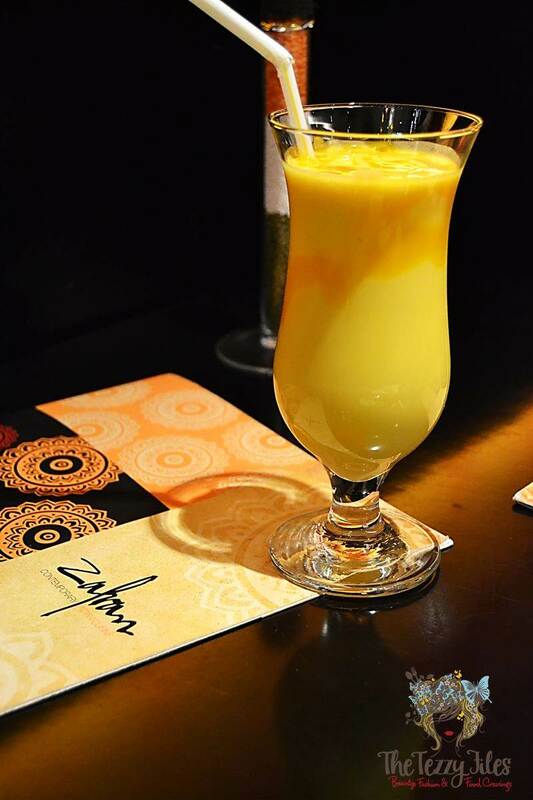 This Indian classic is a thick, decadent mango and yoghurt smoothie, and the one at Zafran has added fresh mango pulp that makes it fruitfully good! 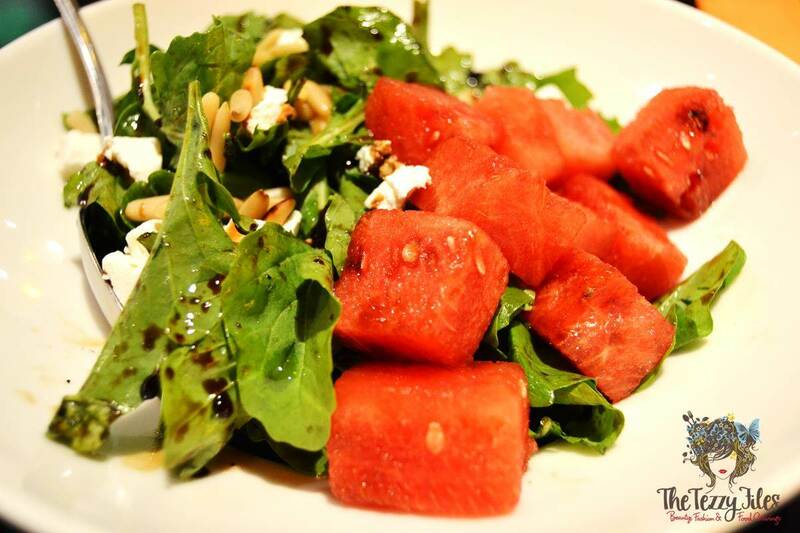 For salads, we had Zafran’s Rocket & Feta Cheese Salad with Watermelon & Balsamic Honey Drizzle. The salad also included the nutty crunch of roasted pine-nuts. This dish is the perfect example of how a very simple dish, made with the freshest of ingredients, can be so refreshingly delicious. I want to try making this at home myself! Unsure of what to order for the mains? 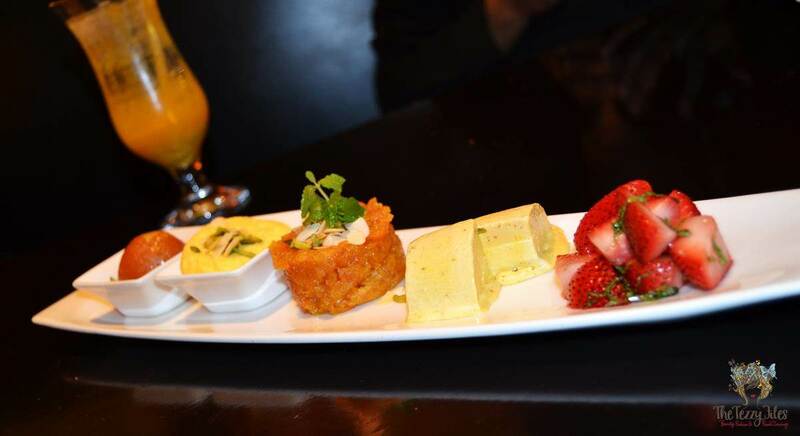 Order the Zafran curry sampler! The Zafran curry sampler is aptly called the Full Monty. 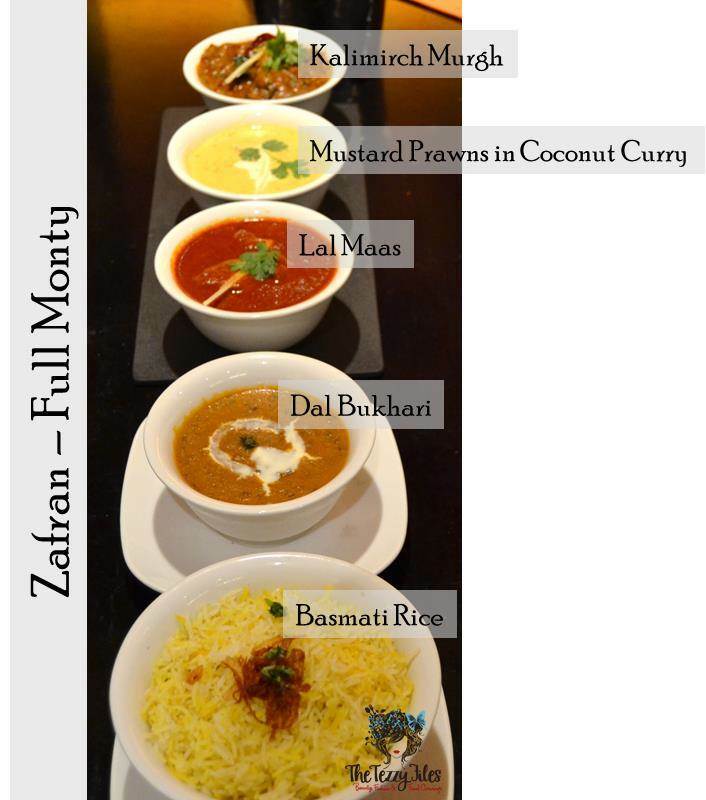 The Zafran Full Monty takes the tastebuds on a culinary tour of India, North to South, East to West. 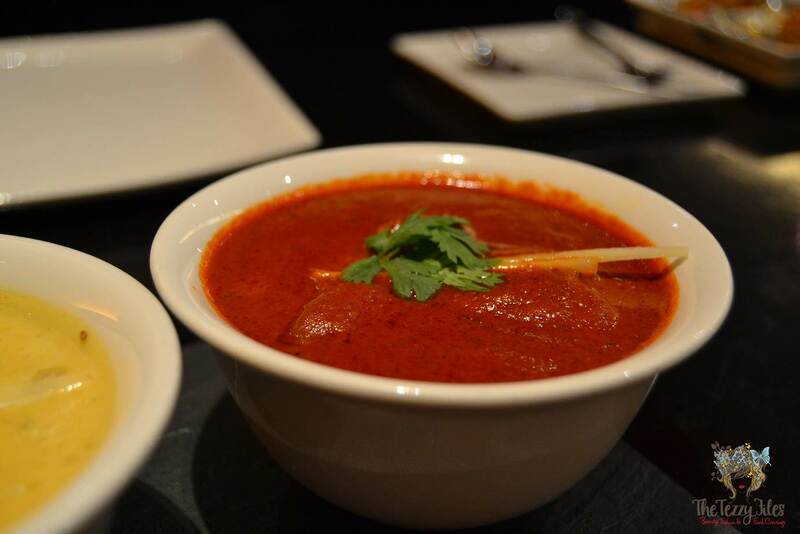 Each curry has a different level of heat, so there is something for the novice chili eater as well as hot chili lovers like ourselves. Zafran’s Kalimirch Murg is a spicy South Indian chicken curry loaded with the heat of freshly pounded black peppercorns, dried red chilies and the robust flavor of curry leaves. The chicken meat was beautifully moist and tender, and the curry went deliciously well with the saffron-infused Basmati rice. 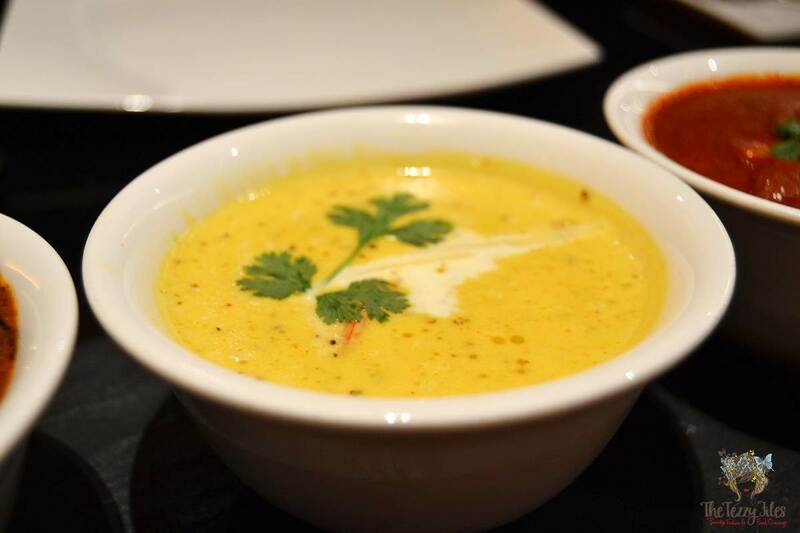 The Mustard Prawns in Coconut Curry took us to Bengal, the Eastern region of India famous for its seafood dishes. The combination of prawn with the richness of creamy coconut milk is a marriage made in heaven, and the subtle heat of mustard enlivens each spoonful all the more. From Western India, we had Rajasthani Laal Mas. 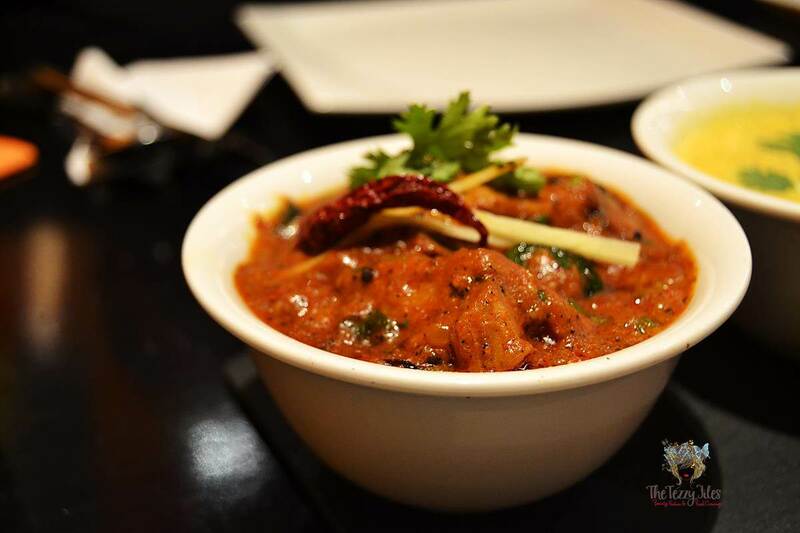 This is an authentic mutton curry from Rajasthan, and is prepared by roasting and grinding fresh, aromatic spices to create that signature deep red, fiery hot gravy. 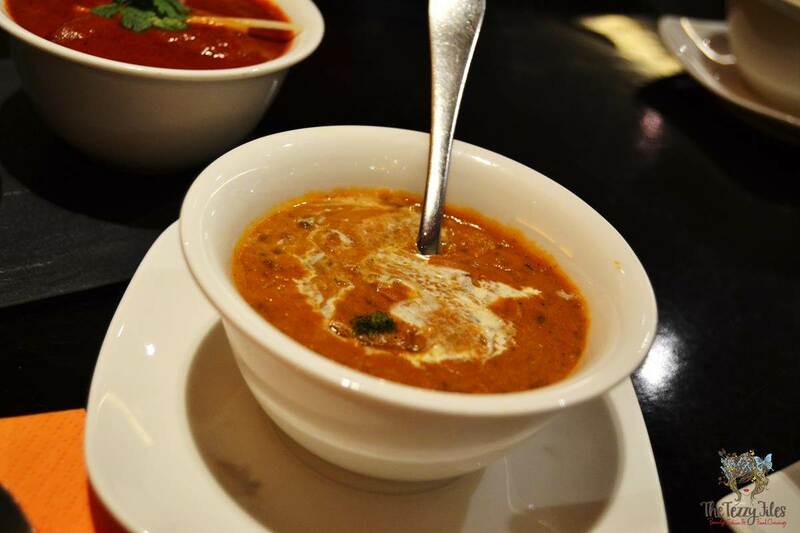 I am a big fan of lentils, and Zafran’s Dal Bukhari hit the spot. Sinfully rich black lentil has been slow-cooked in butter to create this moreish, decadently creamy dal. I could have a bowl of this all to myself; no condiments or rice needed! To end this decadent dinner on a sweet note, we had Zafran’s Dessert Sampler. The Dessert Sampler comes with 5 very appetizing sweet-treats. 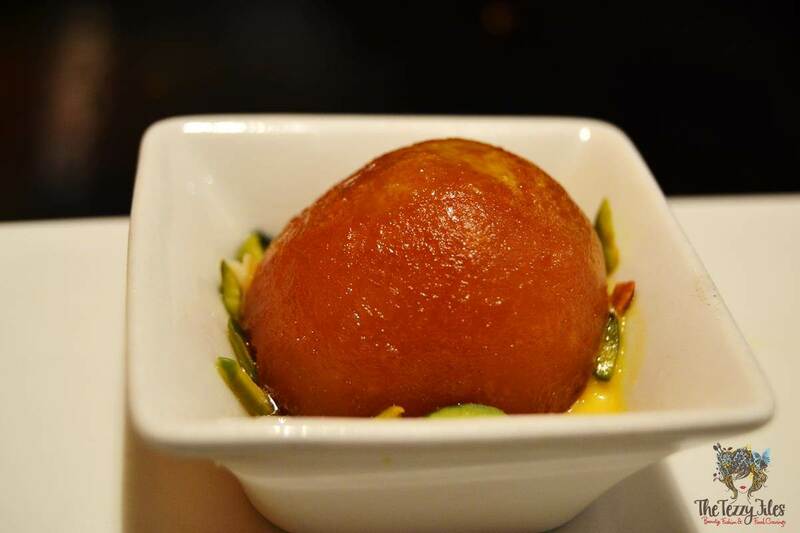 It has a golden-brown Gulab Jamun, the very well-known Indian dessert consisting of a deep-fried cottage cheese dumpling that has been soaked in a sticky-sweet rose syrup. Next to this is Zafran’s Rasmalai, a flattened cottage cheese dumpling soaked in sweet saffron milk. 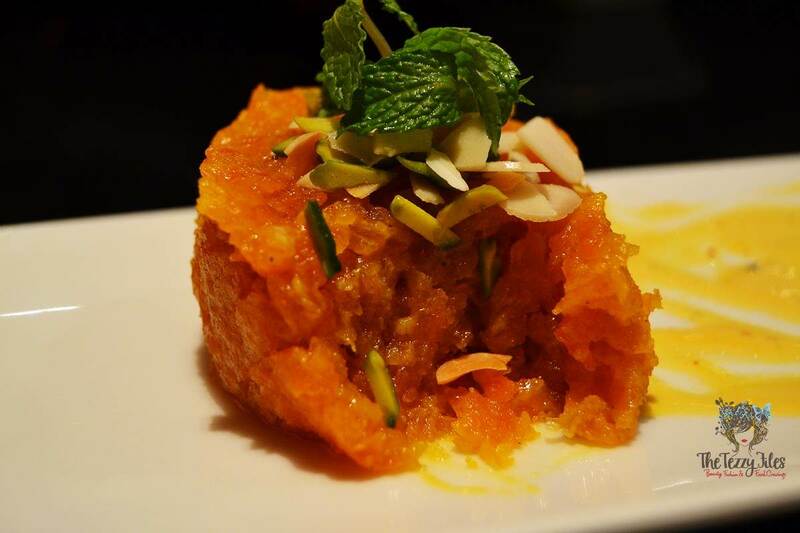 The third dessert is Gajjar Halwa, a well-loved Indian halwa made of finely grated carrots that have been cooked in sweetened milk. 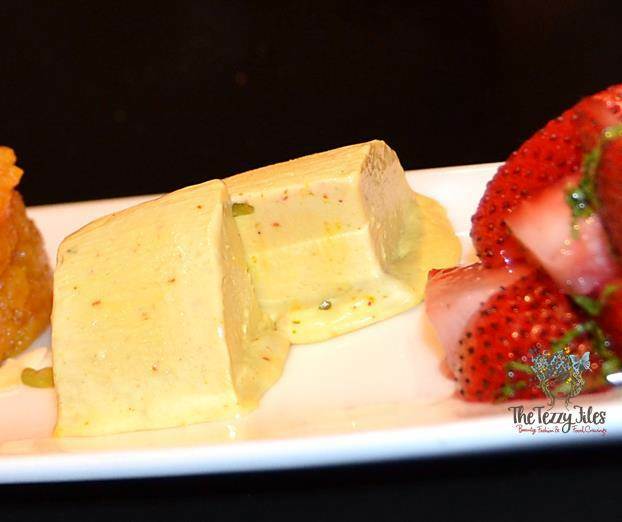 Next to the halwa is Zafran’s kulfi, an authentic Indian take on ice-cream. 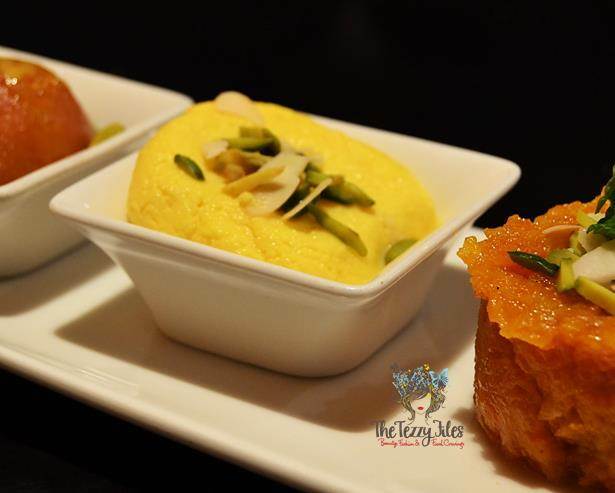 Zafran’s version is loaded with the subtle richness of saffron flavor, and was the first dessert to disappear from this platter! A serving of chopped strawberries marinated in a sweet vinaigrette accompanied the platter, and it was a refreshing change from all this decadence. We ended the meal with cups of masala chai, Indian tea infused with aromatic spices including cardamom and ginger. By the time we finished, it was hard to move! Every dish was loaded with the richness of Indian flavors, and we tried to do as much justice to each serving as possible. Overall, Zafran at Mirdiff City Centre was a memorable experience. The delicious dishes accompanied with superior service are sure to convert us into regulars. And did I mention my daughter made friends with the very friendly Tuan, our server for the evening? 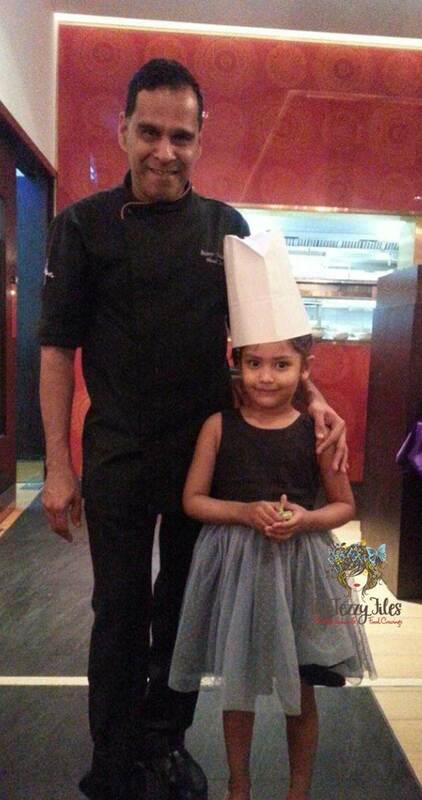 He even took her on a tour of the kitchen, and she was made to feel very special being allowed to wear Chef Sanjeev’s hat! The ‘Zafran’ brand is a proud UAE product, and was conceptualized and developed by the Landmark Group. Five years on, the restaurant has two branches in Dubai (one in Marina Mall, and the other in Mirdiff City Centre), a branch in Kuwait, and will soon be expanding into Saudi Arabia. A little known fact about Zafran is that the team behind the restaurant’s original menu and concept included a celebrity chef: Michelin Star Atul Kochar. In the five years since its beginnings, many new items have been added to the menu but a few of Kochar’s creations continue to be diner favorites. From the dishes we tried, Kochar’s creations including the sizzling hot ‘Tandoori King Prawns’ and the decadently buttery ‘Dal Bukhari’. 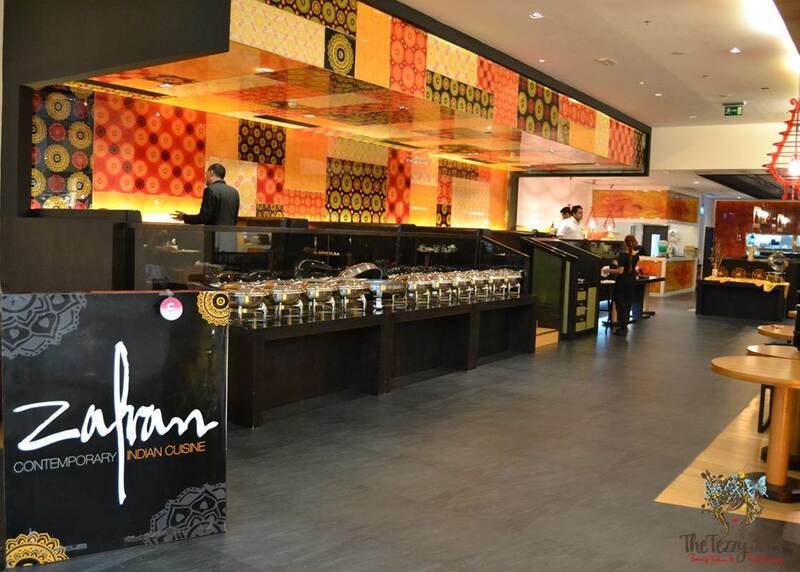 Atul Kochar at Zafran, Mirdiff City Centre – Dubai (image taken from hoteliermiddleeast.com). Read more about him at Zafran on this link. First of all, the menu is very reasonably priced. The menu lists a number of traditional dishes that are often not found under one menu (North, South, East and West India all in one!). The ambiance is simply spectacular! Both the Zafran branches in Dubai are conveniently located within malls. No parking hassles! The food is amazing! 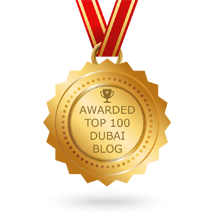 Being a true foodie, I have dined in all kinds of Indian restaurants (the hole-in-a-wall stalls, the five-stars) and I now list Zafran as one of my favorite Indian restaurants in Dubai. After the food, it is the people that make a restaurant experience memorable. 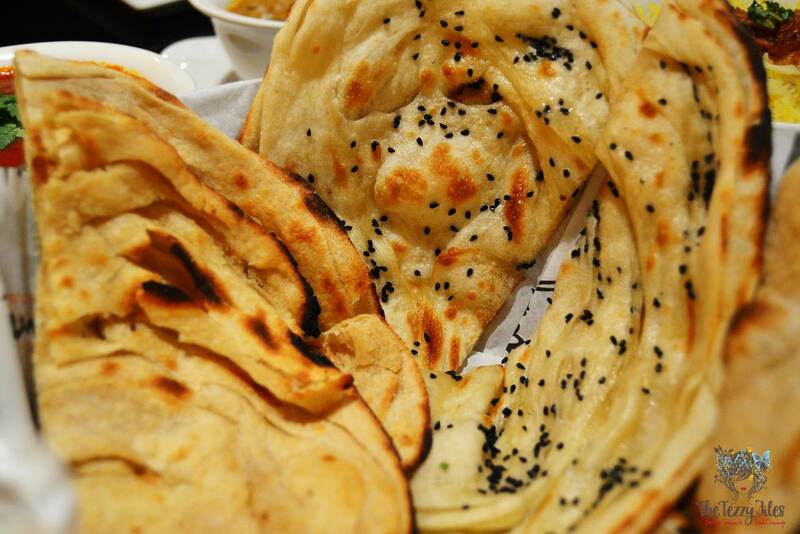 At Zafran, the staff are as warm and cordial as their aromatic curries. Diners feel at ease from the very start. Lastly, a point many people may not be aware of: the original Zafran menu was co-created with Michelin Star Chef Atul Kochar! (Yet the menu prices remain very affordable). Currently heading the menu creations of this innovative restaurant, Brand Chef Gaurav has a very impressive CV on Indian cooking including a stint at Asha’s, and representing India for ITC Worldwide. Some of the lovely staff we met at Zafran. (Head Chef Sanjeev Kumaran, Chief Chef for the Zafran brand – Chef Gaurav, and the lovely Heidi who booked us our table). On weekends (Fridays and Saturdays between 12.30 to 5 pm), Zafran offers a buffet for AED 99 per person. This is available in the Mirdiff City Centre branch only. This Ramadan, Zafran at Mirdiff City Centre is offering an Iftar buffet for AED 101 per person, and a set Iftar menu at the Marina Mall branch for AED 79 per person. If you fancy trying out a number of Indian curries in one seating, this forward-thinking restaurant is planning to add an ‘individual sampler’ on the menu for AED 89 per person. What a great idea for diners who can’t make a decision! 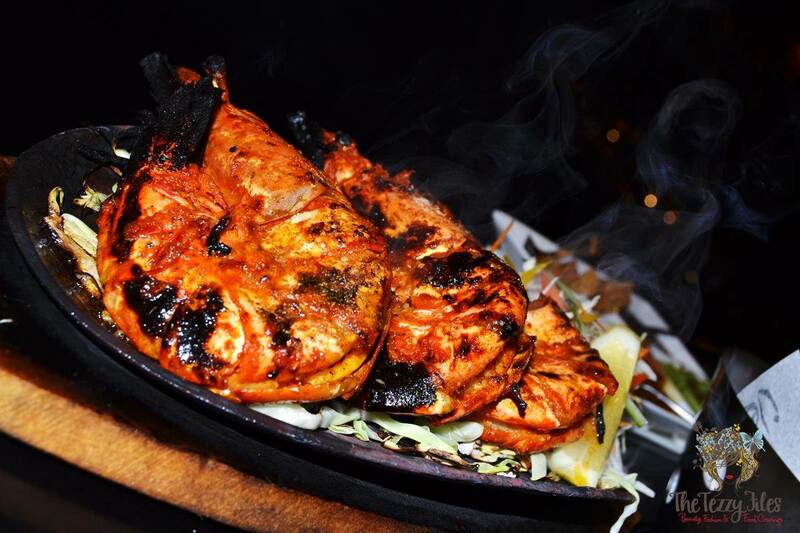 When looking for a deliciously Indian dining experience created by highly reputed chefs, Zafran would be the perfect option. 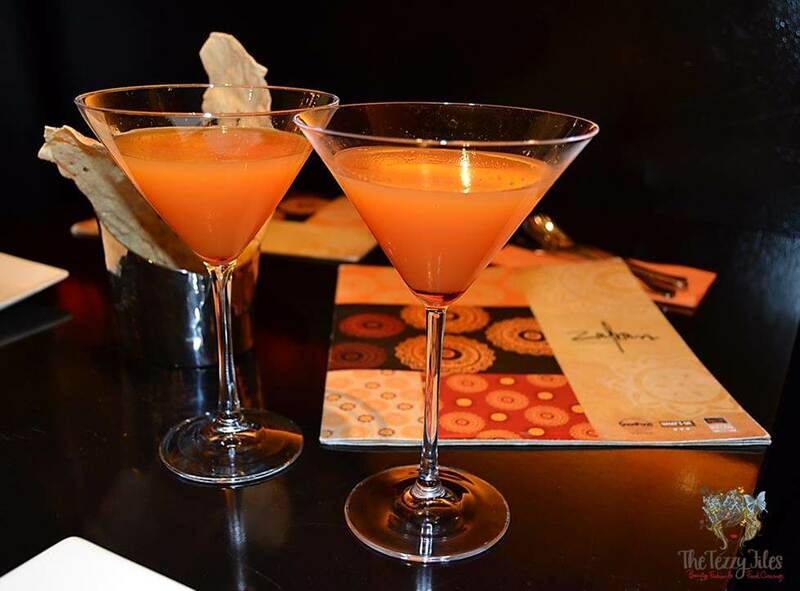 Add together a stunningly trendy setting and a diversified menu at very reasonable prices. 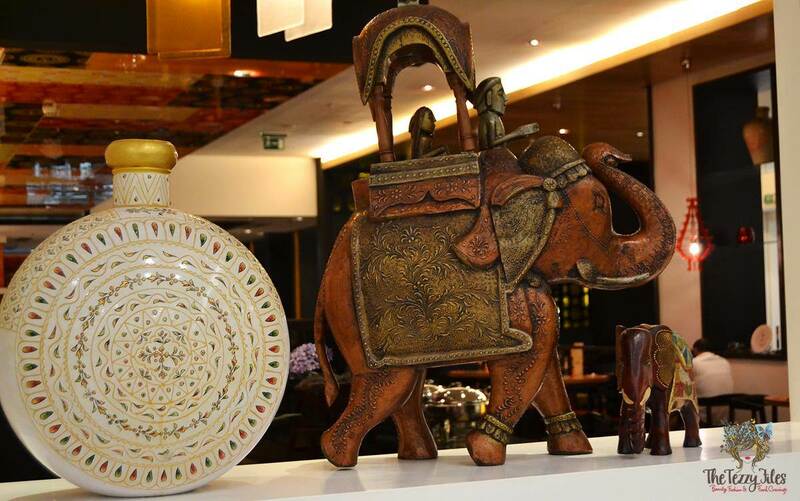 This contemporary Indian restaurant, born in the UAE, is set to make headlines the world over. For reservations at the Mirdiff City Centre branch call 04 284 0987, and for the Marina Mall branch call 04 399 7357. Bon apetit! Posted in Restaurants and tagged atul kochar, chef, Culture, curries, dubai, dubai restaurant, food, food culture, foodie, indian, indian restaurant, michelin star, michelin star chef, restaurant review, saffron. Bookmark the permalink.